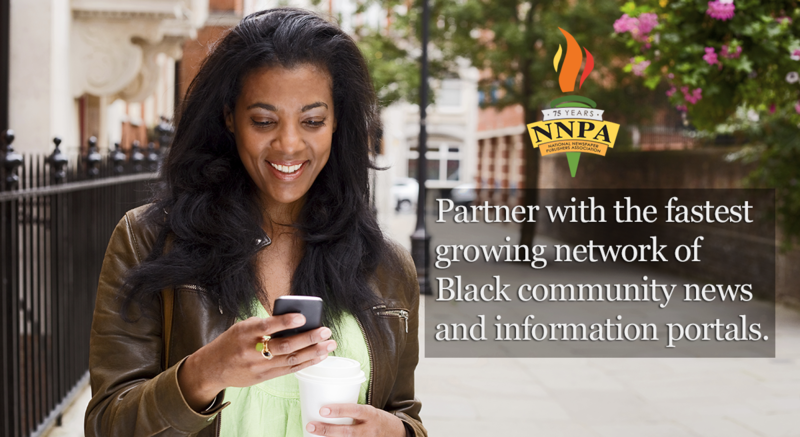 “Could we be seeing the second coming of Tiger Woods?” asked Hannington Dia in her April 23, 2013 NEWSONE for Black America posting. She is young, gifted, and Black. 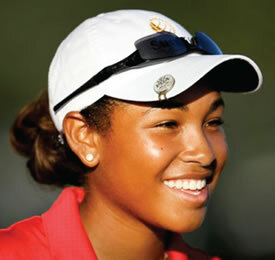 Ginger Howard of Bradenton, Florida has become the youngest Black female golfer to turn professional at the age of 18. Prior, at the blooming age of 16, she was the first ever African American golfer to compete in the Junior Ryder Cup held at Gleneagles Scotland September 27-28, 2011. Ginger has to date won 78 trophies and has ranked first in 41 out of 66 tournament events. The Junior Ryder Cup is a bi-yearly contest between Europe and America. The teams consist of boys and girls under the age of 18. Designed as an international showcase of golf’s next generation, the event is designed to cultivate international friendships between top junior golfers in the United States and Europe according to a Ryder Cup web page. Noting an “Outstanding Leaders in Golf Awards” site posted by the African American Golfer’s Digest, Ginger in 2011 scored a stellar record of two wins and one loss over the two day Ryder Cup challenge. Teaming with Doris Chen, also from Bradenton, the duo managed to defeat the European French twosome of Manon Gidali and Maon Molle. In addition to her selection to compete in the 2010 U.S. Ryder Cup, her junior golf circuit during this time also included the 2010 Leadbetter All-American First-Team, the 2010 FCWT First-Team All-American, the 2010 AJGA All-American Second-Team and the 2010 Cannon Cup East Team. The Symetra Tour golfer became the youngest African American in the world to turn professional, and in her rookie 2012 year, noting a Ginger Howard web site, she would amass a start-up career earnings of $21,170.00. Promoted as the world’s largest international women’s development tour, the Symetra Tour, per a web descriptor, is committed to developing the Ladies Professional Golf Association (LPGA) “stars of tomorrow while creating viable role models for the youth today.” The top 10 money winners in each tour season earn automatic membership on the LPGA tour. Presently, writes Dia, the 5 foot, nearly 6 inch tall Ginger can drive the ball an average of 240 to 260 yards and has tallied notable competitive years on the National Junior Golf Circuit. The oldest of four children to Robert and Gianna Howard, Ginger often shares the spotlight with her younger sister, Robbie, who is a year and a half younger. Both girls are home schooled and perform exceptionally well in their studies says Dia. “My sister and I started about the same time. She was four and I was six,” reveals Ginger in a “Family Affair” titled writing on the Symetra Tour website. “My dad would take us to the range all the time when he was watching us. My mom worked night shifts as a nurse and had to sleep during the day. We got bored of watching him play and that’s pretty much how we started,” she adds. Golf has always been a family affair for Ginger from the time she picked up her first club under her father’s watchful eye to her first career Symetra Tour event. The “Family Affair” feature writing says that “she names her sister as her biggest competitor, her mom as one of their most supportive fans” and her little brothers who could be the best athletes of them all. “Growing up, from my first tournament up until now, he (my dad), would caddy for me. But he always plays the role of a father, always giving me good feedback about my game, and he was my first coach. He’s my manager as well because he is connected to everything I do,” she is quoted in the article. As quoted in an April 19, 2013 Symetra Tour posting, the young golfer says that, “I learned a great deal about how to make ends meet while traveling with my dad during my rookie season. Sister Robbi is very supportive and has been her cheerleader through every step of her career from competing on the course, having her as a caddie or on the sidelines cheering her onward to victory. There are times, though, when homegrown dueling comes into play. “Sometimes, we might trash talk, but that’s only if we’re in serious competition,” admits Ginger. “We don’t do bets or anything but we’re always competing against each other. She’s the closest to who I am in my family and she knows my game sometimes better than I do. Robbi, an accomplished amateur player, may be closest behind her sister’s footsteps with a view of also turning professional. The April posting further echoes her close connection to her tight knit family when living life on the Road to the LPGA.” She says, “The support of my family is crucially important to me because I know without it, I wouldn’t be where I am today. The April writing further reveals that yet another guiding force in Ginger’s young career is her “unrelenting devotion to God” which allows her to keep everything in perspective either on or off the golf course. The 2013 citing reveals that with one full season already to her credit, to include a career-best tied for second, Ginger’s goal for her sophomore season on the Symetra Tour is focused on one goal – to earn her LPGA Tour card for 2014. “I have set many goals for this season as it relates to my faith,” says Ginger. “I believe that if I put in the work that is needed, along with keeping God my number one, I will obtain my LPGA card for 2014 by the end of this year.